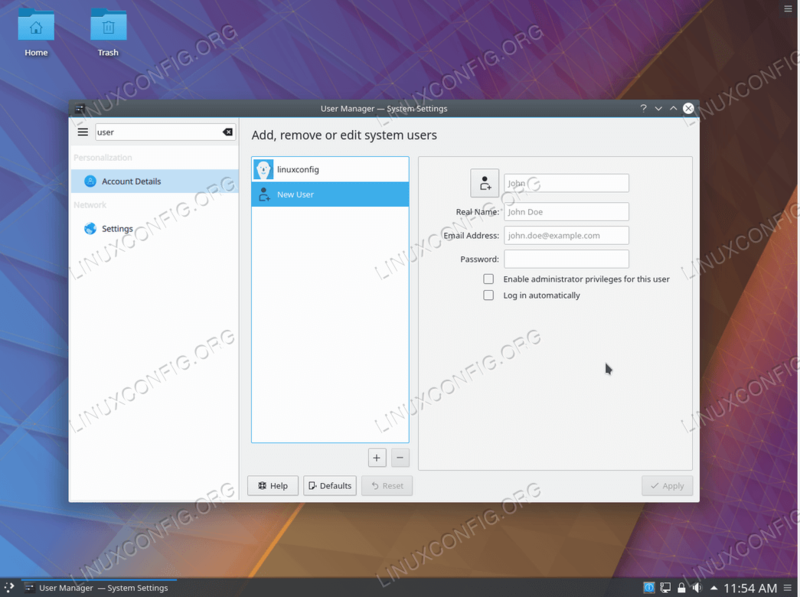 The purpose of this article is to explain how to add user on Ubuntu 18.04 Bionic Beaver Linux. 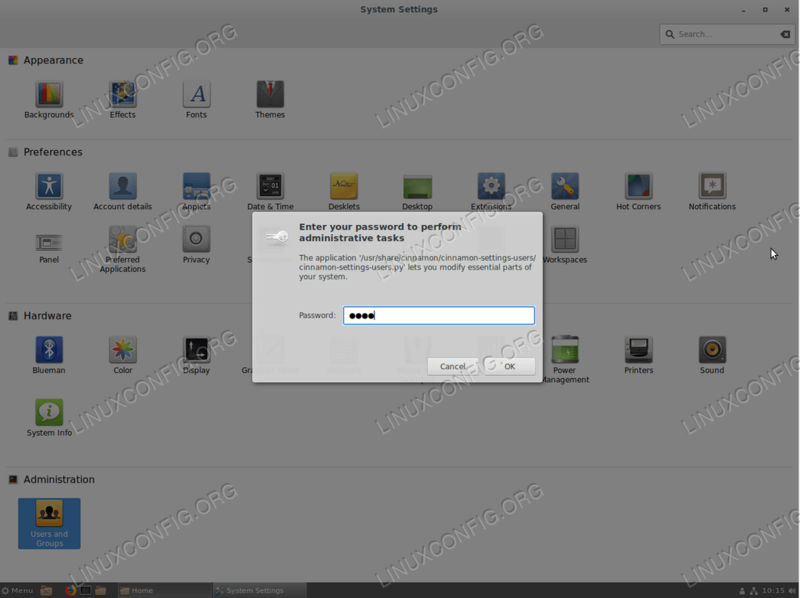 The guide will provide instructions on how to add user on Ubuntu using graphical user interface, and, also how to create user using a command line. 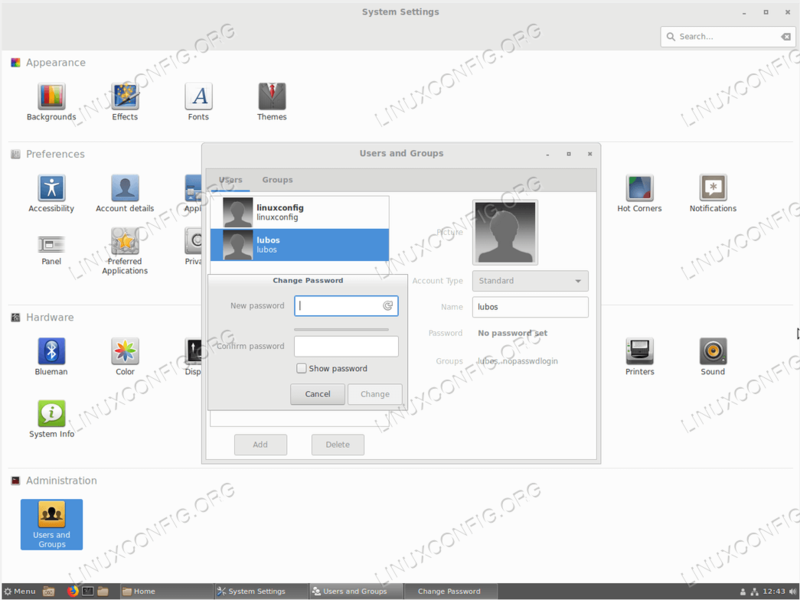 To create a new user on Ubuntu GNOME Desktop, first open SETTINGS window. Next navigate to About->Users menu. Click Unlock on the top right corner and enter your administrative password. Select whether you wish to create Standard or Administrator account. Enter required information and hit Add button to create a new user account. From here select New User, fill in all required user information. If you need the new user account to have administrative privileges tick the Enable administrator privileges for this user radio tick box. Once ready, hit Apply button followed by your administrative password. 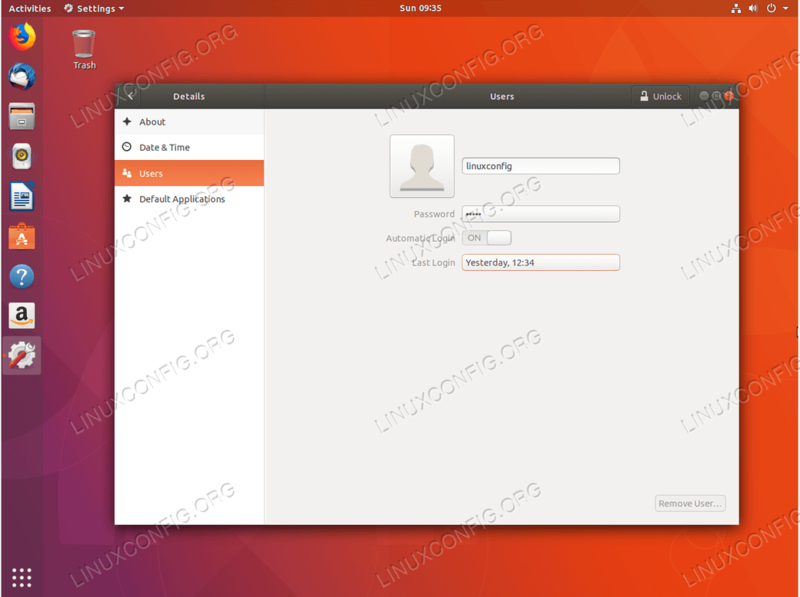 The following procedure can be used to create a new user on Ubuntu desktop running Cinnamon graphical user interface. Start by opening System Settings window. Click on Users and Groups icon and enter your administrative password. Hit Add button, select a new user account type enter username and full name followed by Add button. To set a password for the new user click on No password set. To add user on Ubuntu via command line first, open up terminal and execute adduser command with username as an argument. 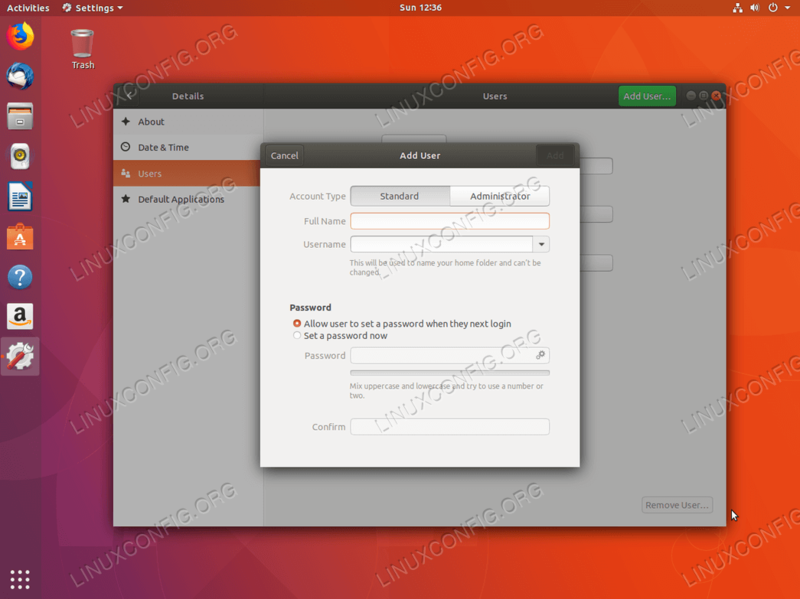 Yes, adding user on Ubuntu Linux is simple as that! You may now wish to add your new user to a sudo group to gain administrative privileges.